Can’t believe it’s already 2016! 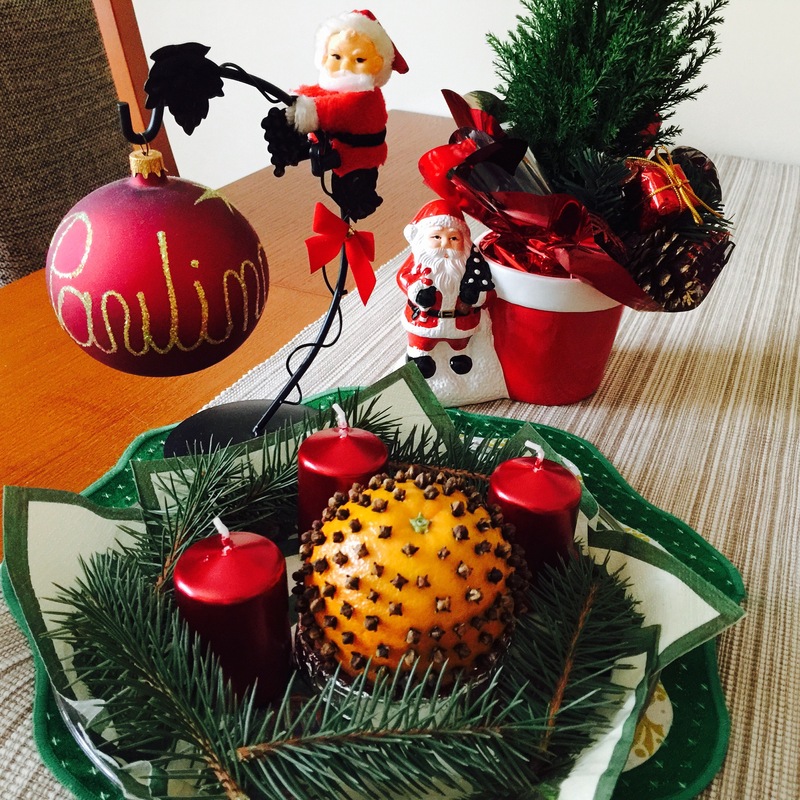 First of all – belated Merry Christmas and a Happy New Year! We already share the wishes with some of you so either click here or check out the video below! I know since Christmas was almost 2 weeks ago we are little bit late, but I think the topic is pretty interesting – at least for me. Two, three weeks ago I got an e-mail from a really big Hong Kong newspaper/service about foreigners and their Christmas in Hong Kong. How it is different from the one in their motherland, what is/was shocking to them. Sadly, since we weren’t physically in Hong Kong, the journalist wasn’t interested in interviewing me on Skype (which I totally understand, although I was bit disappointed deep in my heart). But the topic was stuck in my mind and I thought ‘Hey, I wonder how many of my Readers would like to see Polish Christmas through Hongkonger’s eyes?’. 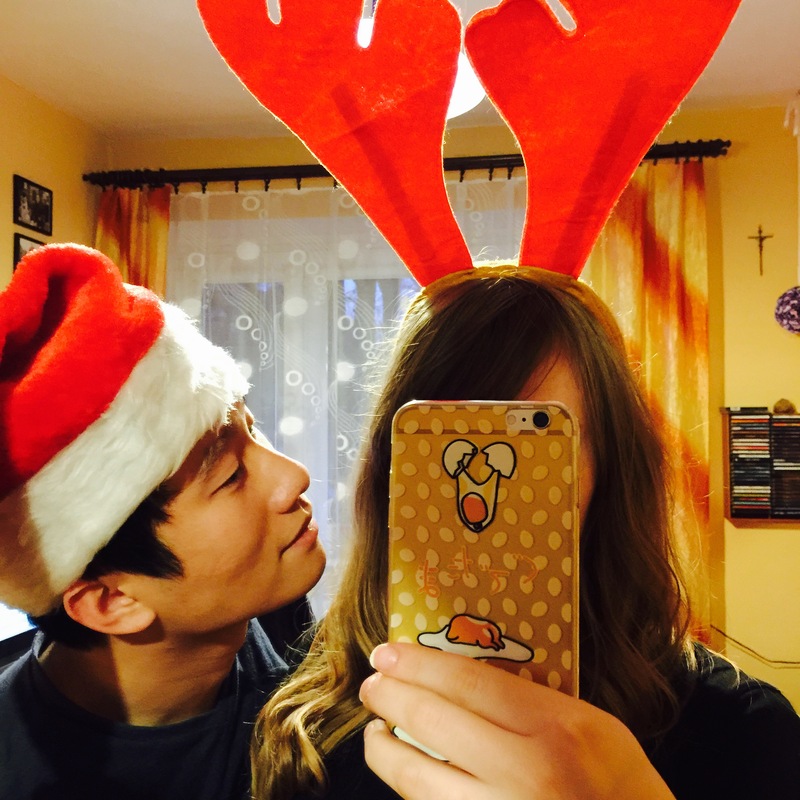 And since we just spent almost a week in Poland, Sing still remembers a lot so, well – he will be THE HONGKONGER that will guide you through Polish Christmas (and not only!). If you want you can check out my last year’s (or now actually post from two years ago) about Christmas time in Hong Kong (click here) or in Macau (click here)! Enjoy another of my husband’s guest posts! I have problem typing this post because I have been feeling so full for the last 2 weeks (said the guy who ate the most and still lost 0.5 kg over Christmas, I swear to you, he is so close to get on my ‘Blacklist’ – Lina ). Since we have other Polish workers in the company, turns out this can’t be more normal. This Christmas is my 3rd time experiencing Polish Christmas, I just felt like to sharing all the Christmas I experienced in my life with everyone. Hong Kong: I believe because of the history, Hong Kong people, especially the younger generation is really into the celebration of Christmas but in a different way than the Westerners. As an international city, it seems to be a party time rather than family time. Sadly El Nino makes the temperature even hotter these days, no time to wear winter clothes anymore. It’s weird to have fake snow in shopping malls and once you leave the mall you get hit by the heatwave. Ireland: I didn’t had a chance to experience a full Christmas this year. However I had problem finding a major Christmas market. Correct me if I am wrong but the Christmas Market we went in Dublin were mostly selling clothes and toys (I think Sing was helping people selling at the market because he is one of those people who think others would like to get a laughing emoji pillow as a gift and that they should definitely sell it to others – Lina). The one in Cork I went last year actual had nice warm food and mulled wine but we will see in 2016. (How to destroy your wife’s hope of coming back for Christmas to Hong Kong for dummies – Lina). United States: don’t get me wrong, I actually feel the power of Thanksgiving more than Christmas. People seem to be very crazy about Black Friday instead, I was driven to shop shop shop! (Ekhm, not by me. I guess we will have to talk. – Lina). My experience of Christmas in the US wasn’t close to the impression I had after watching ‘Home Alone’ (Because all the parents forget about their kids and just fly to Europe without them while the poor little child is fighting the burglars – Lina). Maybe because I was constantly living in California? 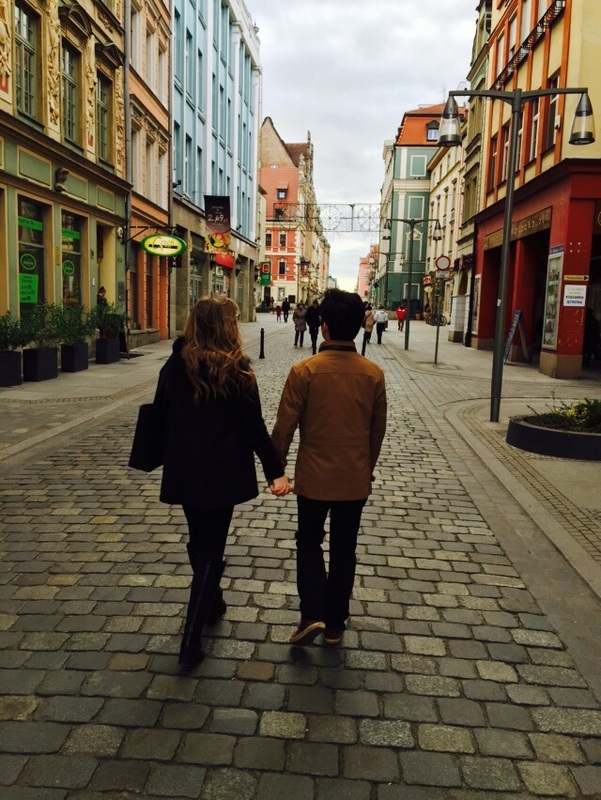 Poland: I had more dumplings than at any other occasion. (I FREAKING LOVE DUMPLINGS – Lina). Their most important dinner is actually the Christmas Eve Dinner. Since no meat is allowed before Christmas, I had a lot of fish and dumplings, salad, sweet pasta with poppy seed, borscht. The next meal actually is on the Christmas day. White sausage, chicken jelly, bigos, as well as items from Christmas Eve, which lead to my current stage….. (I want to remind you, my dear Readers, that traitor lost weight eating more than my dad. I feel so betrayed. – Lina). Hong Kong: actually, I don’t recall anyone I know who made a Christmas dinner in Hong Kong. The tradition I know is to book a nice big meal in fancy hotel and enjoy your endless dishes. Time to dress up and enjoy the date with your love ones. This is the only place I experience a count down to Christmas. If I have a chance, I would like to try fusion Christmas dinner in Hong Kong. (I say ‘YAY!’ – Lina). Ireland: although I didn’t experience the Christmas market in Ireland, but I had a home made dinner which including nicely done turkey. The gravy was a very tasty one. We had a similar dinner at work. Bit heavy, but tasty. Australia: Actually I like their various choice of pies. I also believe I can enjoy the cakes in a cooler environment, but the heat makes me want to enjoy a cold beer instead of a big meal. Our family tradition for the last few years turns out to be Uno, Home Alone and beating my father in law in FIFA. (Beating your FIL 11-1 during Christmas is not really nice. GUYS, DO NOT SET SING AS AN EXAMPLE. LET YOUR FIL WIN. – Lina). I really need to introduce them to other games because of those scary faces I will see if I win too much… (Just let us win and everyone’s happy! Happy Wife = Happy Life – Lina). Ireland: From the feedback my co-workers, it turns out to be a relaxed time which includes the big dinner and marathon of Santa movies. Their family gathering seems to be limited to the close family. A bit different than my impression of inviting the whole family for a big gathering. (Sing forgot ‘The Late Late Toy Show’, every Irish person in our company told us to watch it – Lina). US/Australia: When I was with my local host family, it was very similar to the Irish way of celebrating the holiday. However, they tend to invite more family members to have one big party. To shy person like me, it was a little bit awkward. How about you? Have you ever spend Christmas far away from home, in totally different environment? Did you like it, or you prefer the way you’ve been celebrating for years? Share your experience and once again – HAPPY NEW YEAR! I’ve mostly spent my Christmases in America with my family, but this year, and a few years before, I’ve been in Scotland with my husband’s family. I think it’s easy to think those two are very much the same but they’re definitely not. At least in my family, Christmas in America has two phases: the relaxed Christmas Eve, and the more formal Christmas Day. Though I’m not religious, we always say a prayer before the meal, and my mom puts out her beautiful nativity scene. We don’t have any prohibition on meat (I didn’t know Poland did! Is that a Catholic thing? My extended family is Catholic, but they still pig out on meat on Christmas Eve, haha) so we have lots of appetizers like shrimp and meatballs. My aunt likes to cook a ham, too, and there are plenty of cookies and candies all evening. The next day we have a big sit-down meal, with wine and often a beef roast. We don’t have any dressings like cranberry sauce; those are for Thanksgiving. The sides can vary, but we almost always have either a Yule Log cake or pumpkin pie. In Scotland, we didn’t do much Christmas Eve–except go out! I’ve never been out on Christmas Eve with my family, but we went to a local castle and hiked around during the afternoon. No one else was out, so maybe that’s just my husband’s family’s thing. I can’t recall any special foods. But the next day, we had what looked to me like a Thanksgiving dinner: turkey, cranberry sauce, stuffing, and roast potatoes and brussel sprouts (yuck). There was Christmas cake for dessert, which is a dense fruit cake. We also pulled crackers and wore the crowns all evening. It was a rather formal meal. They are also not religious at all, so there were no hymns or Christmas music. In fact, I heard almost no religious Christmas music in Scotland at all. Personally, I agree with Sing–the best Christmases have snow and lots of good food! Sadly, in Scotland we had way too much rain, but sometimes in America we have an inch or two. But Scotland has pantomimes, which are fantastic and really add to the Christmas fun. So I guess it balances out. Scottish Christmas sound a lot like Irish! Especially the crackers and crowns – I love those little mini-games they put inside the crackers! So fun! Ah yeah the Rasmus with their frontsinger lauri. My host family back in 2003 knew him and had some signed cd’s etc. Last time I heard anything with Lauri singing was 1-2 years ago when he participated with other Finnish artists to gather money for a new children hospital in Helsinki. The video almost made me cry – great initiative! “Sing once ate watermelon with rice, but he cannot handle the cranberry sauce.” — Laughed hardest at this commentary from Lina, though all of them were funny. Snow, decorations, and good food make all the difference. I’d totally go for a Polish Christmas if I couldn’t get a white Christmas in New Hampshire or Utah. I will never understand Sing’s stomach and his desires. This year’s Christmas wasn’t white at all, it was over 14C, but after terrible Irish weather even autumn (:D!) Christmas is fun! But then… did he really eat and eat and eat and still lose weight??? Yup, he’s a traitor of the highest order! I celebrated Christmas at McDonalds. I had not had a proper Western meal since coming to China, so it was something of a treat. Still made me feel rather pathetic. In any case, it was interesting hearing about all those different Christmas’s, though I am upset that you did not experience a good American Christmas! Hah, I had a final exam that day for one class; the other I just said, “In America, you cannot get anyone to work on Christmas Day, so we are going to watch a movie,” and that was that. I hope you manage to have an authentic Christmas celebration in the United States. It really is a special day, and it has become one even to those who are not religious. These are fun to read. I am American celebrating my third Christmas in Thailand with my two daughters. This year, however, we celebrated our first Christmas in Thailand with my new British husband and British in-laws and my half Thai step-children. We had a British-American-Thai Christmas on the beach. It rained in the morning and rocketed into the 90s with 100 percent humidity in the afternoon. I think we made fried rice or something for dinner. ha. I hope the first of many hilarious Christmases for our new crazy family! Now that’s one hell of a Christmas 😀 sounds cool! This year is our first Christmas celebration with my daughter and English son-in-law and his family for Christmas lunch. Amazed to say that it is different from my sea food Christmas Lunch. With roast chicken and turkey and stuffing, vegetables and dessert . With a full belly and don’t have to cook, it is cool to enjoy a Christmas without cooking for the 1st time. Dumplings! A big fat yes to “Maultaschen” (southern Germany), “Houskové Knedlíky” (Czech bread dumplings), or “Bramborové knedlíky” (Czech potato dumplings). Very interesting article! I myself have spent my Christmas in Hainan this year, an island in the south of China. Except from a few western bars, we couldn’t see big movements of celebrations. It was still a wonderful experience, since we crossed midnight sitting on the beach, 25°C, with a really small christmas tree working with batteries. wine, yukulele, secret santa gifts, the sound of the waves, the stars in the sky. A very special Christmas, that I wish you could live one day too. i lived for many years back in the United States before i returned to Asia. i would have to agree with Sing. back then, i felt Thanksgiving was more of a big deal than Christmas. i guess because it is more of a cultural celebration (for the entire nation), while Christmas is more of a religious celebration. though christmas decorations would be everywhere and in abundance, i think ‘food’ would be more of a big deal when it comes to Thanksgiving. that said, i wouldn’t mind trying out a Polish christmas meal with its many dumplings. i had a polish friend once who brought back dumplings made by her grandma, and it was damn good. i just love that mashed potato-filled dumplings eaten hot and with sour cream. YUM.